We here at Billboardom have seen our share of billboards -- over 600 and counting, and that's just the ones that made it into our collection. Some are plain, some are kind of too gimmicky for our refined palates but are are still fun for the first two minutes. A rare few are just plain awesome. 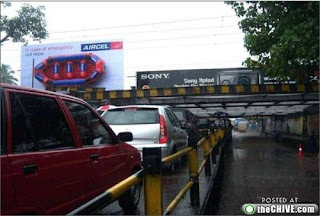 The awesomest are the billboards that don't just stand there looking pretty but actually do something useful. 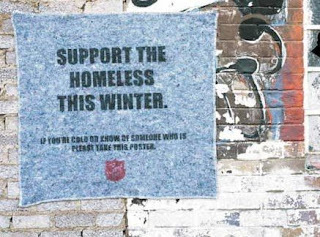 ... or even posters turned blankets for poor people to use in winter. 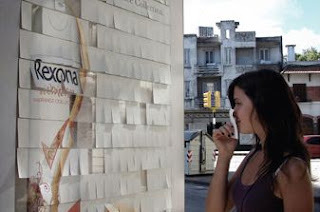 But, you know, maybe give a sample or two, like this Rexona billboard. 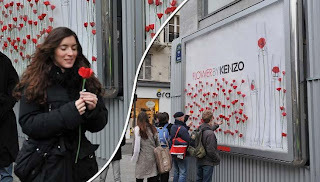 Or brighten up someone's day with a poppy (billboard by Kenzo). Or even let people steal stuff.